Your RIS/PACS system is integral to your workflow. Its specialized tools give you access to the entire range of studies generated by your department's imaging systems. With real time worklists that help balance case loads and real time exam status to prioritize urgent cases, your PACS system streamlines your workflow and helps you be more productive. When your radiologists need to go beyond 2D image review with complex multimodality studies, an integrated workflow can help optimize productivity, and offer better physician experience as well. Whether it's simple MIP/MPR viewing or more advanced 3D visualization tools, simplicity for the user can help drive efficiency. AW Server PACS Integration lets you launch Advanced Visualization applications directly from your RIS/PACS system. The breadth and depth of the AW application portfolio enable you to get more precise, detailed information across modalities and care-areas. With these tools, you can provide your colleagues and referrals with timely information that can help lead to positive patient outcomes. With the AWS integration with PACS, one desktop can meet all your reading needs. Makes your RIS or PACS driven workflow more powerful by providing access to AW applications portfolio directly from the same desktop. Reduces IT Complexity with automatic push of completed AW exams to PACS. Facilitates incorporation of sophisticated 3D visualization and analysis into your routine reviews with integrated log in between AW Server and PACS. The capability to launch AW Server applications from the PACS worklist. Automatic saving of AW post processing session into the PACS database at the end of the session. 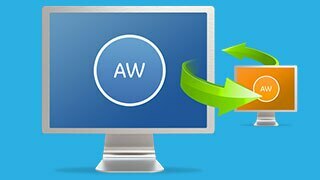 For sites using PACS as their primary worklist, the integration lets you launch AW Server applications from the PACS user interface. And results saved during an AW post processing session are automatically pushed to PACS at the end of the session. For sites using RIS as their primary worklist, the PACS command line integration option enables integration of both RIS and PACS with AW server. Hence, AW applications may be launched from either RIS or PACS. And results saved during an AW post processing session are automatically pushed to PACS at the end of the session. 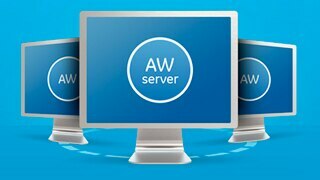 Lets you launch AW Server from PACS or RIS. Provides context synchronization at exam launch. Automatically pushes competed AW exams to PACS. Launch 3D application directly from PACS worklist. Provides context sharing integration of PACS and AW Server with two image databases. Stores thin slices on AW Server and thick slices on PACS. 1. Requires hybrid integration of your PACS with AW Server. Check availability of Hybrid integration API support with your PACS vendor. Available on specific GE Centricity PACS release. Not available on PACS-W and RIS-IC. 2. Exam opened on PACS sets context for exam shown on AW. 3. Exam opened on PACS sets context for exam shown on AW. PACS is a powerful management tool, integral to enhancing Imaging departments' workflow and providing opportunities to improve radiologists' efficiency and productivity. 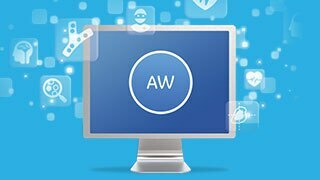 AW Server applications offer a wealth of diagnostic information that can help clinicians deliver more precise, detailed information to referring physicians. The integration of the PACS workflow with the flexibility of the AW Server streamlines radiologists' access to advanced image processing tools, thus, enhancing the viewing and processing capabilities of PACS. This represents a new paradigm in the way clinical images are processed and managed. GE has the expertise that healthcare providers seek to transform their workflow and gain efficiencies. "The instructions we got from GE were clear and concise; it was really a painless process." "Remember, as radiologists, we are integrators of information, and the more our tools complete these tasks for us, the more efficient we can be in our diagnoses and consultations."